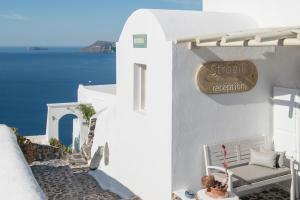 The Strogili is located in the village of Oia and offers spectacular views of the volcano and the Aegean Sea, as well as traditional accommodation with pleasant furnished porches. 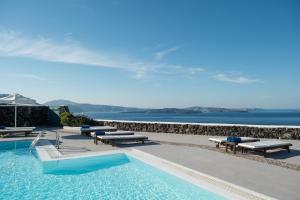 It has a pool with sun terrace and serves a continental breakfast. Please inform Strogili in advance of your expected arrival time. For this, you can use the special requests section when making the reservation or contact the accommodation directly. The contact details appear on the booking confirmation. This property offers laundry, ironing, fax and photocopying services at an additional cost. Shuttle service to and from the port and the airport is available upon request and at an additional cost. From 1 from November to 1 from April, works may be carried out in the vicinity of the establishment. The pool is open from mid-May to mid-October. The reception opens every day from 08: 00 to 21: 00. The style and decoration of the accommodation, as well as its location may vary. This room type offers a free shuttle service to and from the port and the airport. Style and decoration may vary. Breakfast is served in the apartment. Style and decoration may vary. Breakfast is served at reception. This room does not allow additional guests.